At Locktec Locksmiths our aim is simple, to provide professional locksmiths Dublin services, and, to assist you in solving your locksmith issues quickly and effectively ensuring minimum impact on your day-to-day plans. From a simple key replacement to a full security installation you can be safe in the knowledge that all of our fully trained professional locksmiths are at hand to best advise you and get the job done right, complying the highest standards at all times. We are recognised for total excellence in terms of service, not just as a commercial and domestic locksmith, but also for our emergency autolocksmith service. 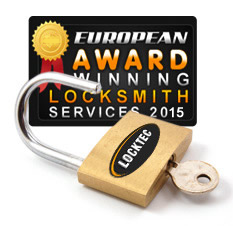 Providers of an award winning high quality 24-hour locksmith service, working across Ireland. 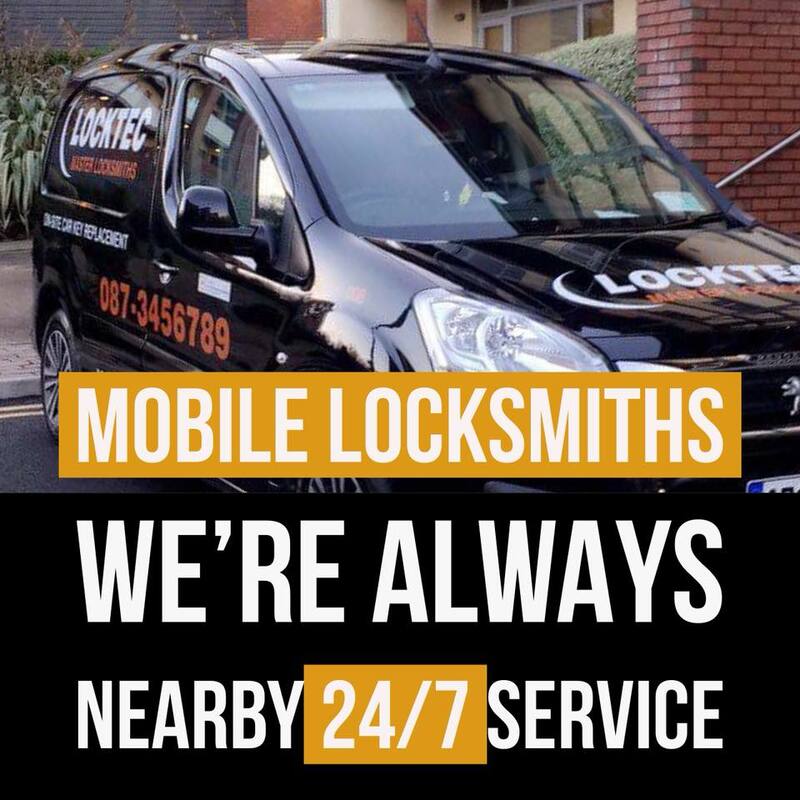 At Locktec Locksmiths Dublin our team of highly trained mobile locksmiths are available for emergency call out 24/7 ensuring that all of your locksmith/security issues are dealt with instantly to put your mind to rest. We are very proud of our workmanship so we guarantee you will be totally satisfied. We offer one of the largest emergency domestic & car locksmith services in Dublin. 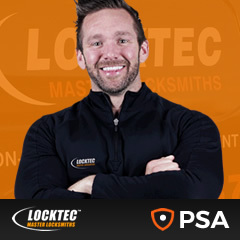 Over the last 8 years Locktec Locksmiths Dublin have gained an excellent reputation that has only been possible due to our commitment to our customers and the love for our work. 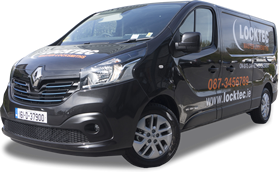 Our mobile locksmiths are less than 25 minutes away from you anywhere in Dublin. Base in Blanchardstown and mobile teams in Swords, Tallaght, Dun Laoghaire and Maynooth we are always ready to help you with any lock related problems. Our team has years of experience and works only with top quality materials. 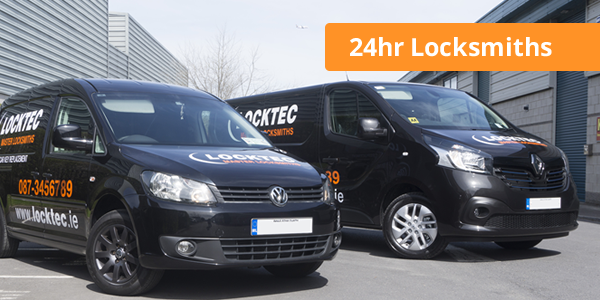 Locktec Locksmiths Dublin offers the highest quality security & car locksmith services. Our highly trained team of locksmiths and dispatchers are available to help you with any of your auto locksmiths needs, and, we work around the clock so that we can provide our top class service 24/7. We accept all major card payments and offer 24 hour emergency car locksmith services and professional invoicing at the roadside. Locktec offers high quality locksmith in Dublin. Our team of highly trained locksmiths and dispatchers will find a solution to any of your requirements, and, we work around the clock so that we can provide our top class service 24/7. Give us a call today and let us solve your problem so that you can get on with your day.